MPP was formed in 1941 to sell photographic equipment produced by Celestion Ltd., primarily a loudspeaker manufacturer. The early employees of MPP came from Celestion or the related McMurdo Instrument Company and Harrow Machine Company, employees would move between Celestion and MPP work for some time. MPP was based in London: in Kingston until 1976, Wandsworth thereafter. The company stopped most of its operations in 1982 but continued to sell parts until it was finally dissolved in 1989. 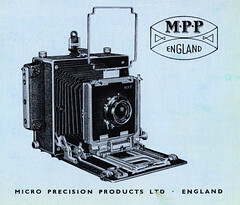 MPP's first major product was the Micro Technical Camera, in 1948. This camera, for 4×5 in. 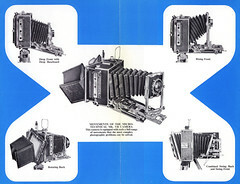 sheet film, was far in advance of any other camera produced in Britain. Mark II followed in 1949; Mark III in 1951; Mark VI, Mark VII and Mark VIII in 1952, 1956, and 1963. (Mark IV and Mark V were not sold.) These were versatile professional folding bed cameras, designed as sturdy compact view cameras, almost like press cameras but without sports finder. Some are still (2005) in professional use. 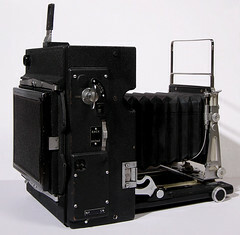 The Micro-Press Camera was a press camera available through the 1950s priced £85 (1951 & 54), it differs substantially from the Micro Technical cameras and was based on the Graflex Speed Graphic (Pacemaker) with its top mounted range-finder pre-dating the Graflex top mounted range-finder by at least 4 years. 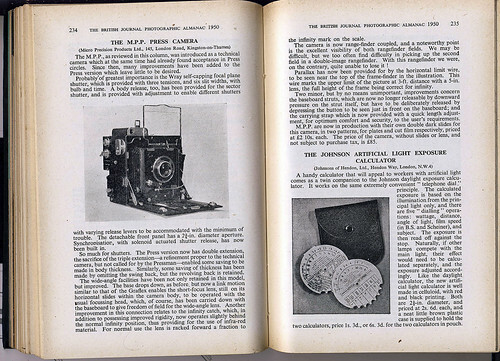 The prototype Micro-Press was reviewed in the British Journal of Photography, and reprinted in The British Journal Photographic Almanac of 1950 along with the photograph below. The prototypes were based on the Micro-Technical. front standard and trackbed and shutter release. MPP is the only postwar British manufacturer of TLRs. The Microcord (1951) was based on the Rolleicord; in 1954 it was followed by the Microcord Mk II, with an improved shutter (the German Prontor). The Ross lens is of high quality. 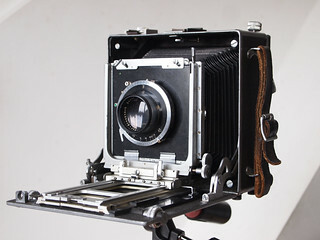 In 1958, MPP brought out the lever-wound Microflex, inspired by the Rolleiflex. This had excellent optics (by Taylor, Taylor & Hobson) and the camera was well made, but the crank invited hard use for which it was not designed. 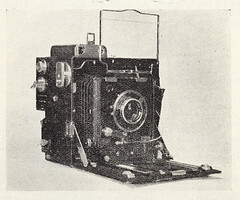 Shortly after its introduction, Britain dropped the high duty rates that had made Rollei equipment prohibitively expensive, and the Microflex had to be heavily discounted. 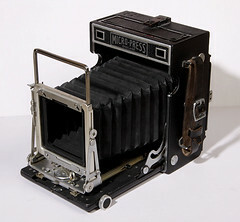 MPP had some kind of agreement with Iloca (West Germany), as a result of which MPP produced and marketed in Britain a number of cameras identical to the Iloca Rapid 1L, a leaf-shutter 35mm camera. They are marked on the top with the names of both companies. Other products included monorail cameras, fixed-focus prison "mug shot" cameras, enlargers (even for large format), projectors, rollfilm adaptors and a flashgun that was later used for Darth Vader's lightsaber in "Star Wars". ↑ Skinner, pp. 7, 15. ↑ Skinner, pp. 16, 17. ↑ Skinner, pp. 19, 48. Wakefield, George L. Camera movements. London: Fountain Press, 1955. The book first describes the movements possible with an MPP Micro Technical Camera Mark VI, and then discusses the use of those movements with this camera. "Micro Precision Products" (21 February 2006 version of Wikipedia article). MPP Sales literature 1959 (inc price list) JSP.3666A.59 Produced by James Sutherland Publicity Ltd.
"Micro Precision Products" (current version of the Wikipedia article). This page was last edited on 17 January 2017, at 16:47.